Your diagnosis – and treatment – will be based on sound scientific and chiropractic principles. Chiropractic Biophysics® is a highly advanced, scientific, and proven chiropractic technique which corrects and restores your spine back to alignment. Dr. Tyson will use X-rays, postural checks and other diagnostic tests to assess the current spinal condition, and then treats the ligaments and bones of the spine to make changes in order to bring it back into a correct state. Why Take a Unique Approach? Each patient’s treatment plan will include a combination of spinal adjustments, therapeutic exercises, physical therapy, inferential therapy, intersegmental traction and therapeutic stretches to treat your symptoms.. Your plan may also include traction and massage therapy. Mirror image exercises are performed to stretch shortened spinal muscles and to strengthen those muscles that have weakened in areas where postural muscles have adapted to abnormal (bad) postures. Your mirror image exercises will work in conjunction with the spinal adjustments and mirror image tractions. Both of these things are designed to cause the spine to do the opposite of what it’s doing. Mirror Image Spinal traction may also be used to restore loss of curvature or, in the case of scoliosis, to get rid of curvatures. 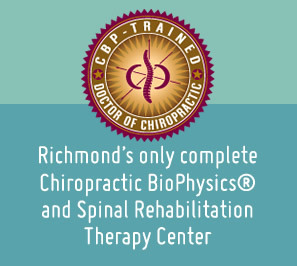 Do you have more questions about Chiropractic Biophysics®? Call our Midlothian office today and we’ll explain how we can help you feel better by restoring alignment to your spine.